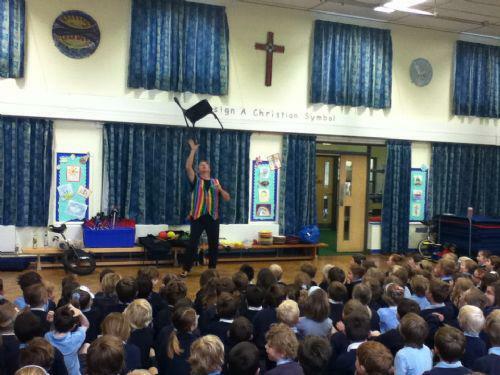 On Wednesday 8th May Doody's circus arrived at Milford-on-Sea Primary school. 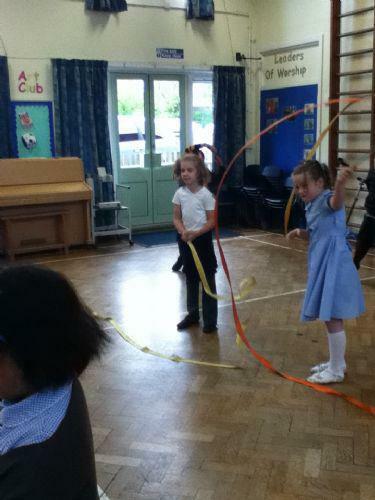 We were extremely excited and couldn't wait to become circus stars for the day! 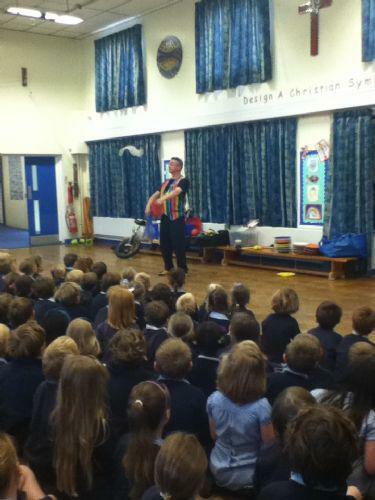 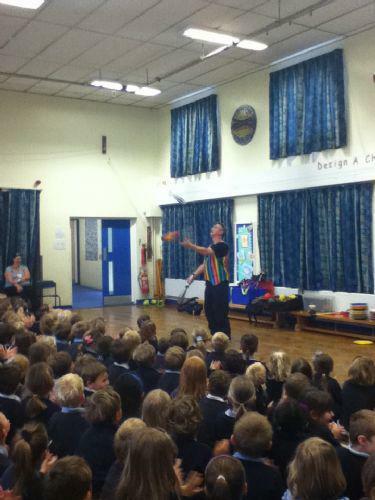 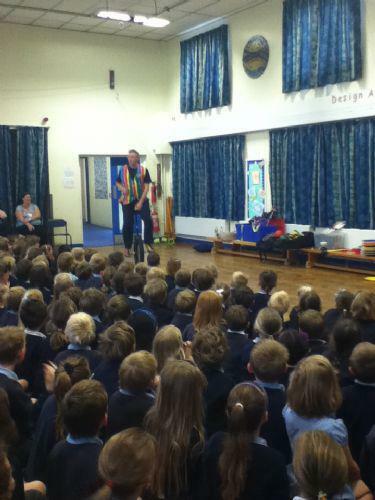 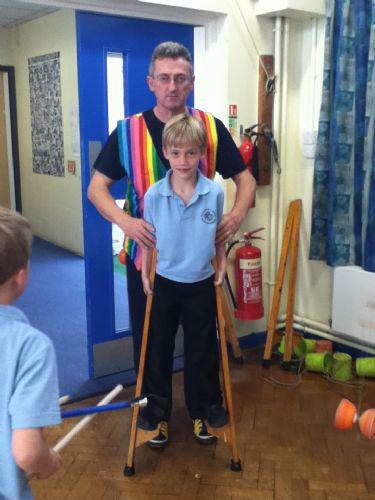 First we watched Doody perform his fantastic circus tricks and skills in assembly. 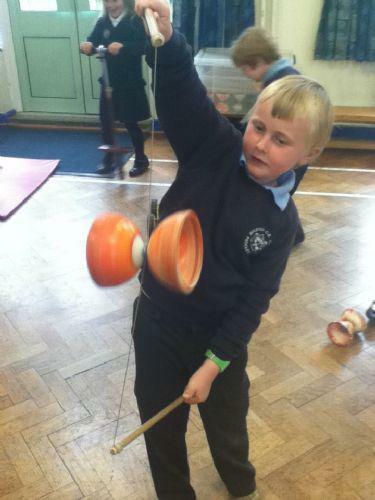 We watched in amazement as he juggled and balanced a range of objects such as plates, feathers, clubs, scarves and even a toothbrush! 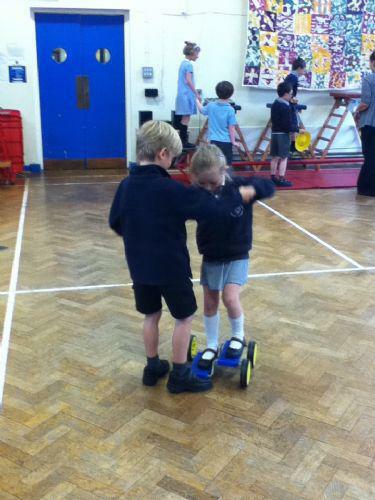 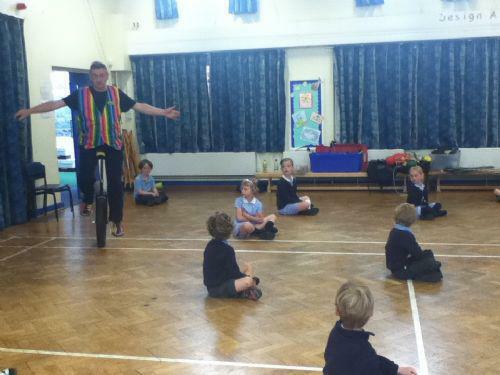 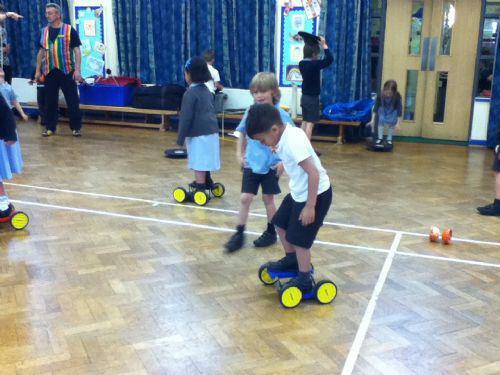 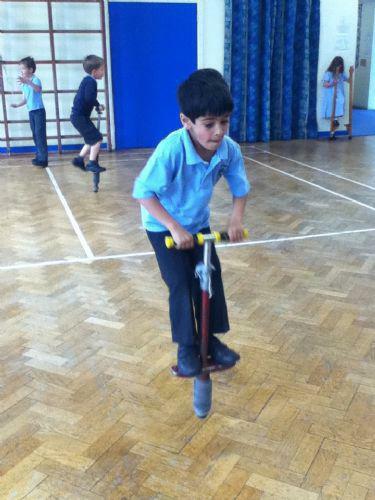 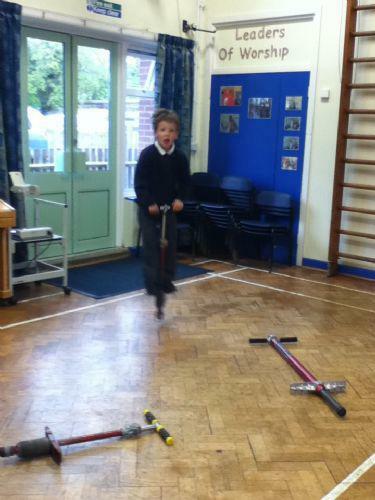 Next he performed tricks on his unicycle and we couldn't wait to have a go! 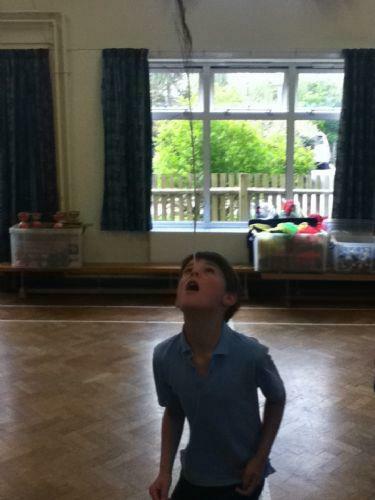 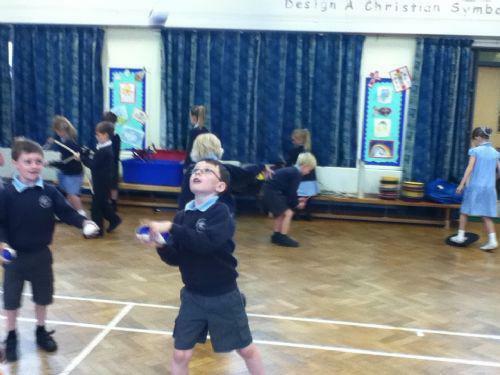 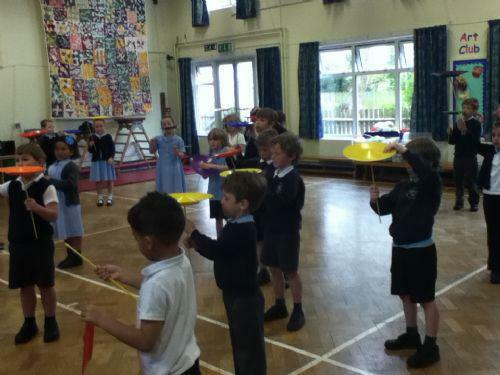 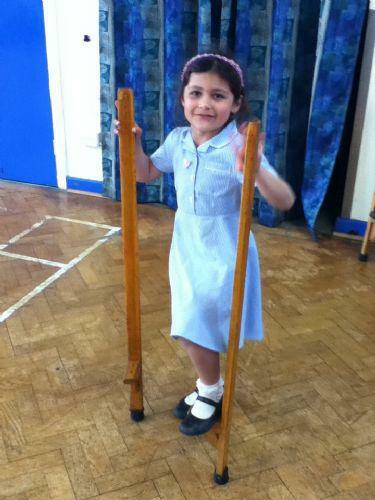 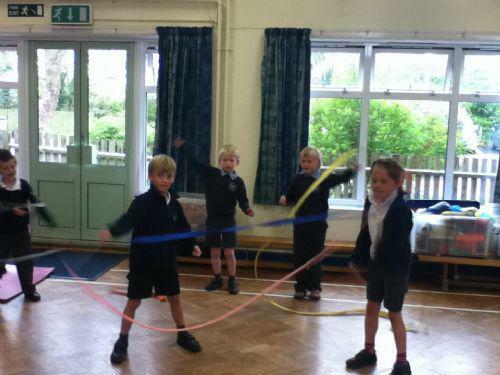 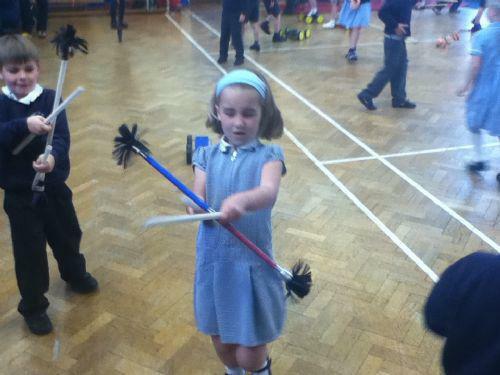 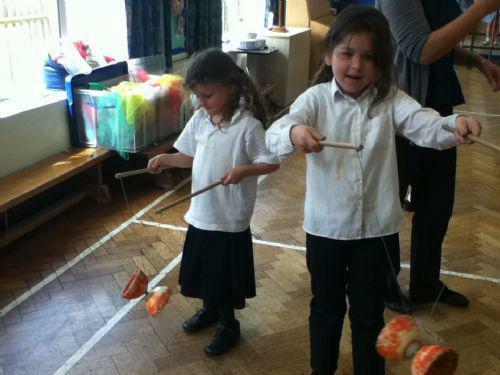 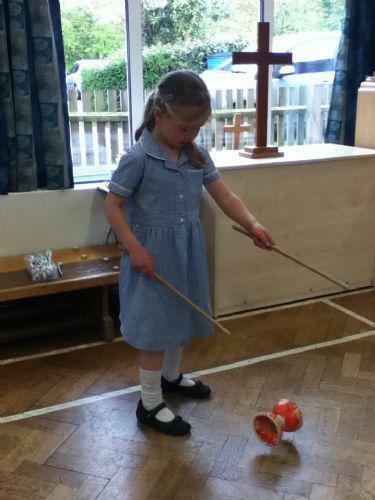 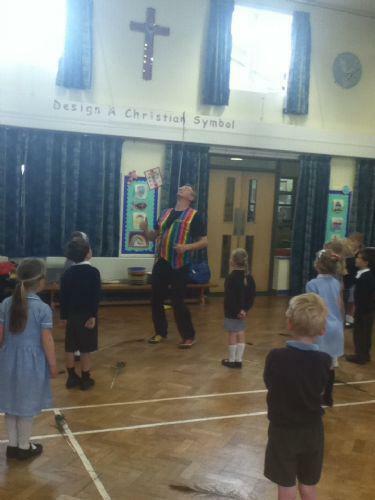 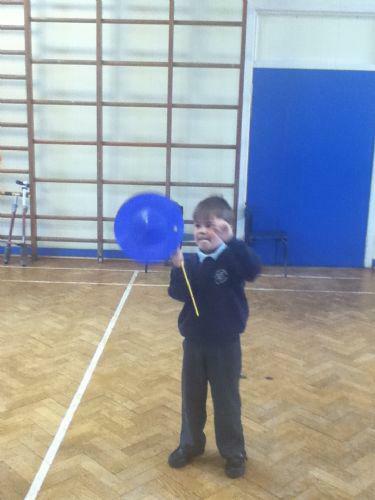 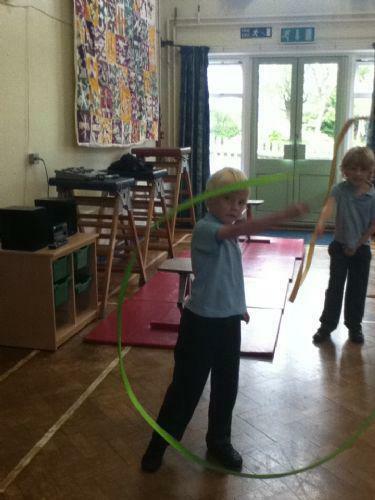 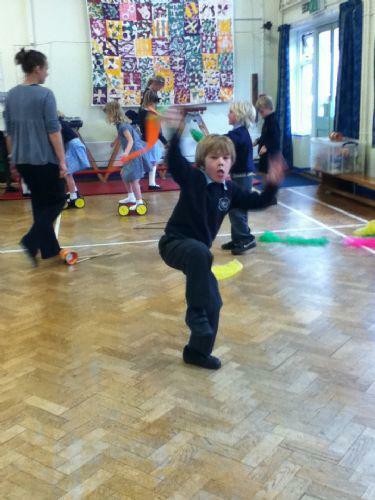 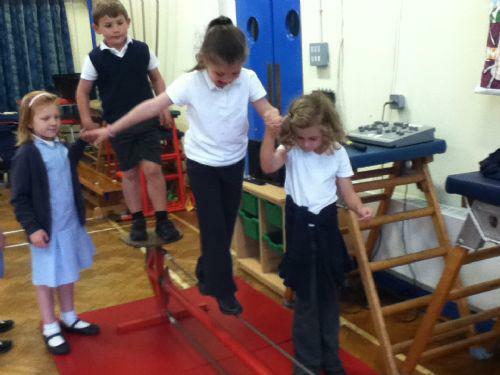 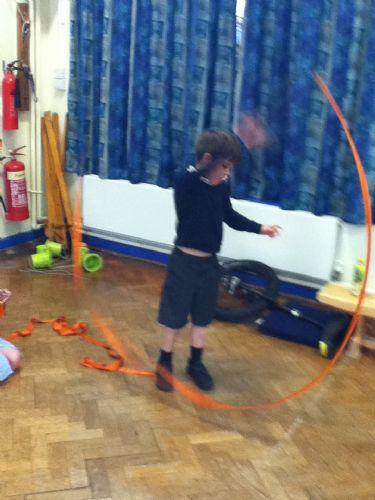 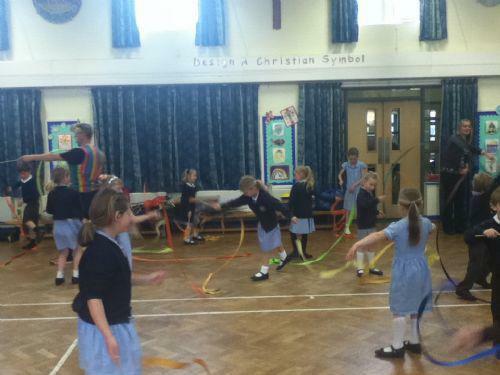 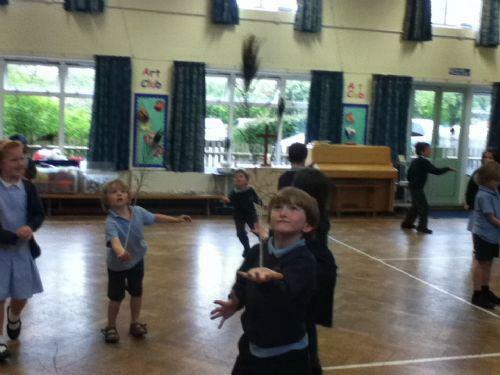 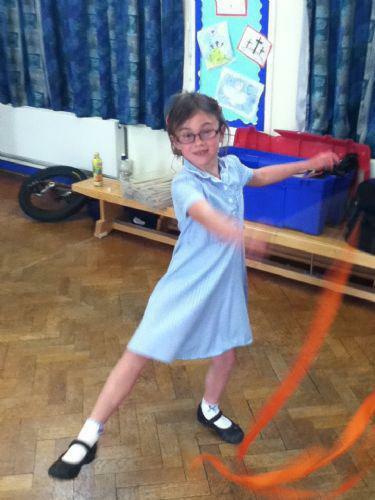 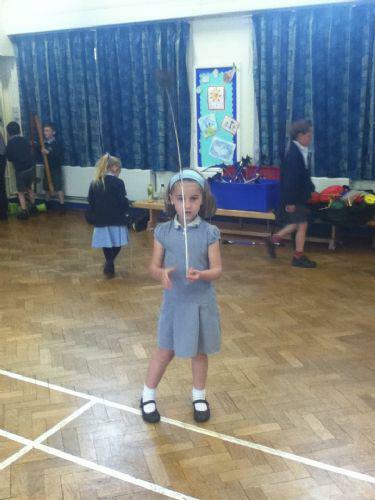 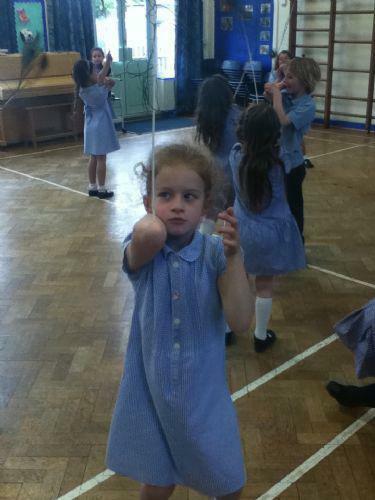 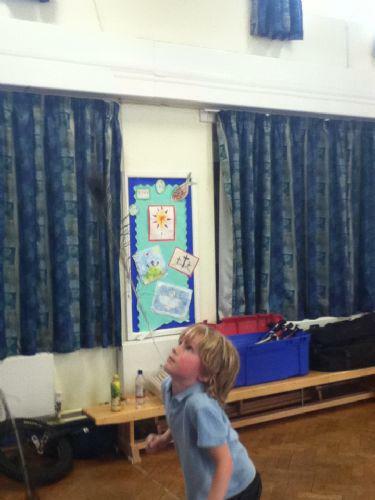 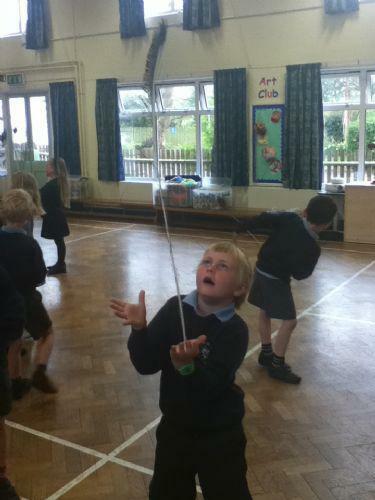 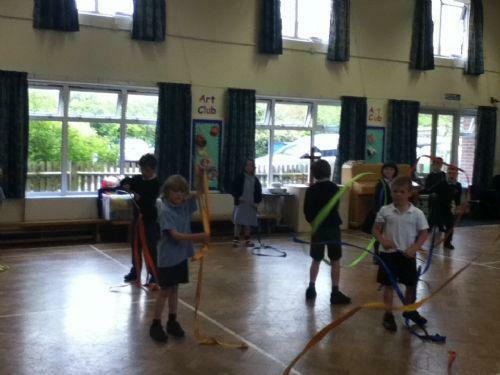 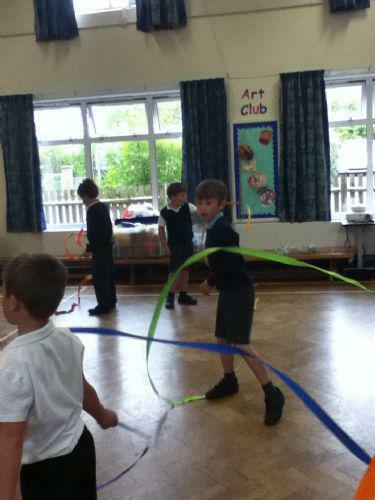 Each class had 1 hour to perfect their circus skills. 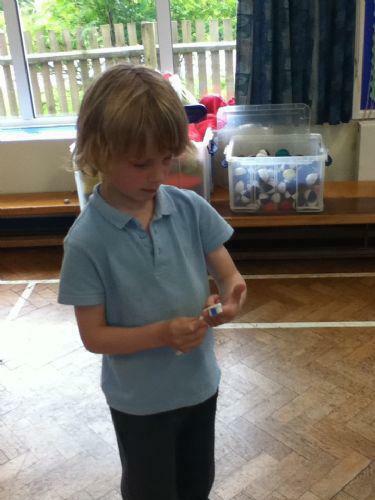 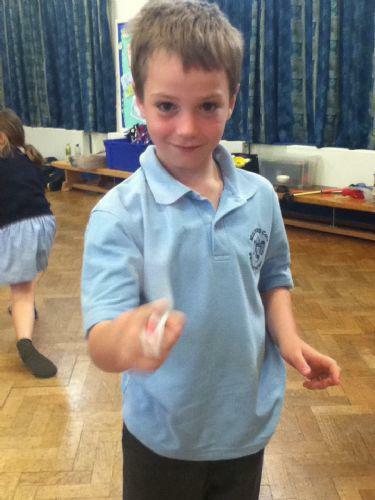 To warm up we learnt how to balance and spin a toothbrush on one finger! 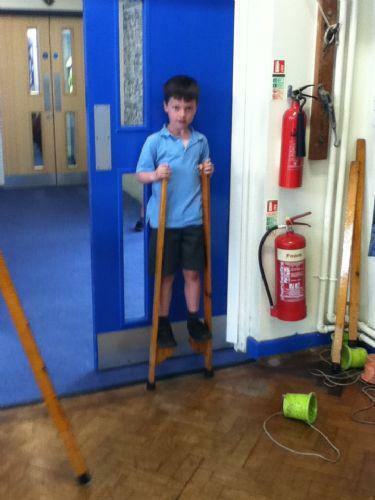 It was a lot easier than we thought. 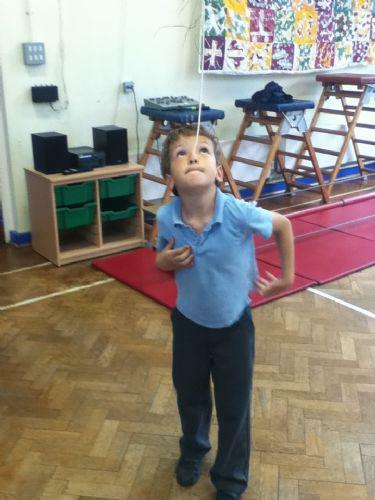 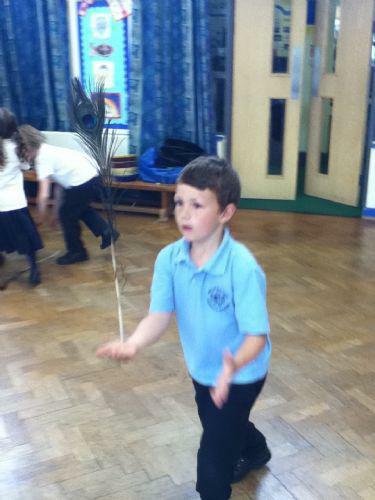 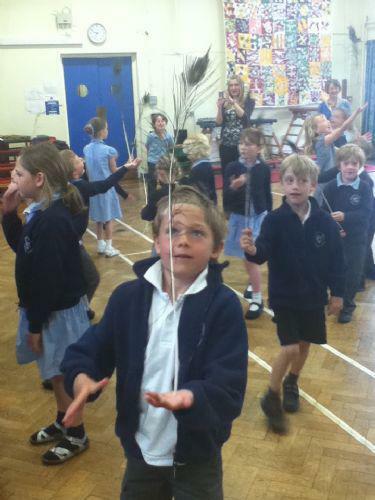 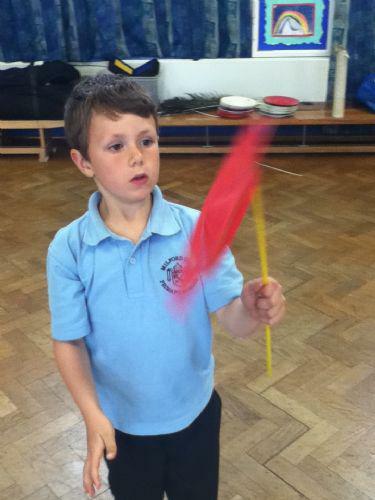 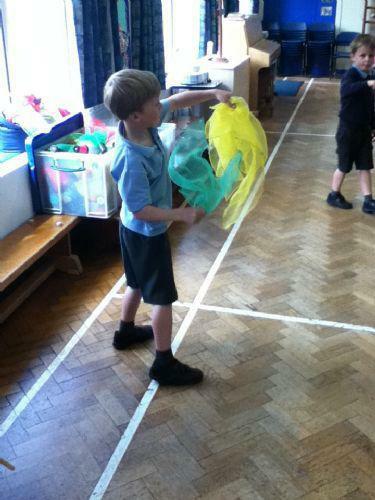 During the session we balanced feathers on our hand, finger, elbow, chin and even our nose! 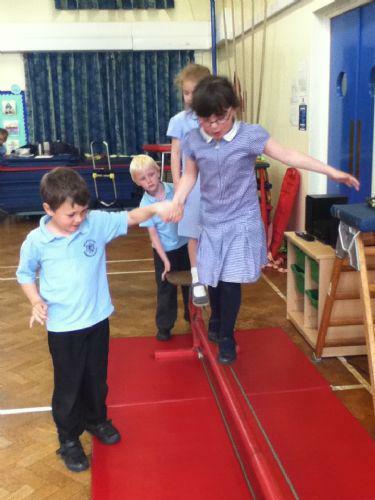 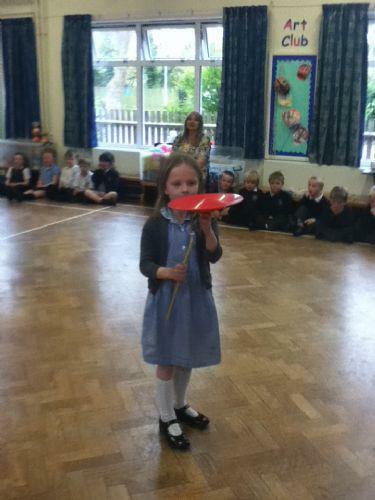 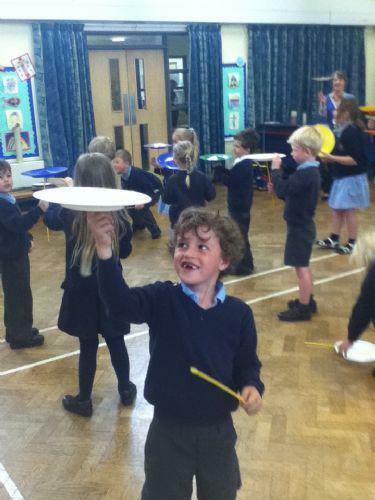 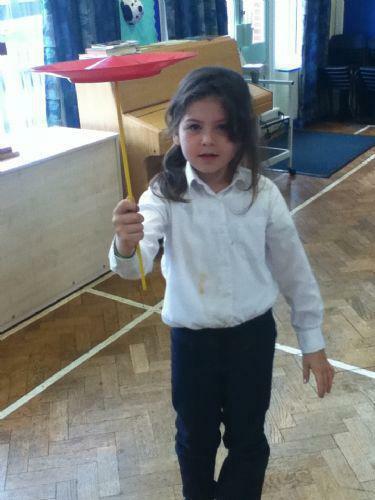 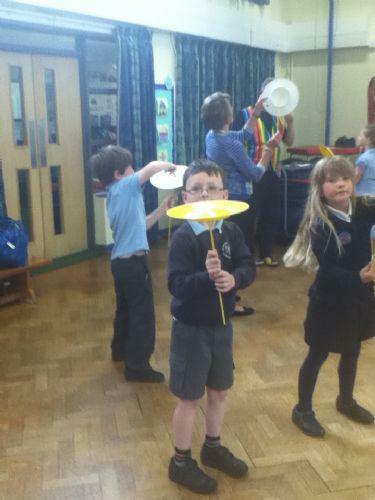 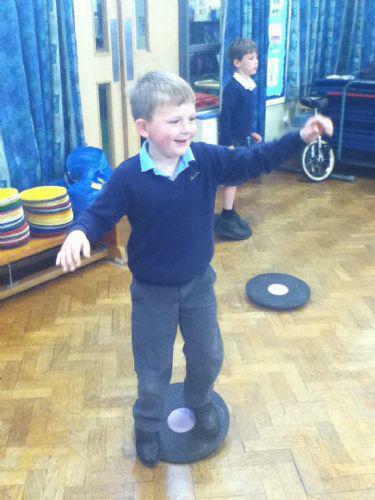 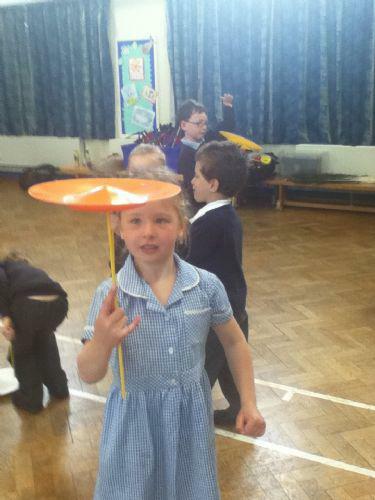 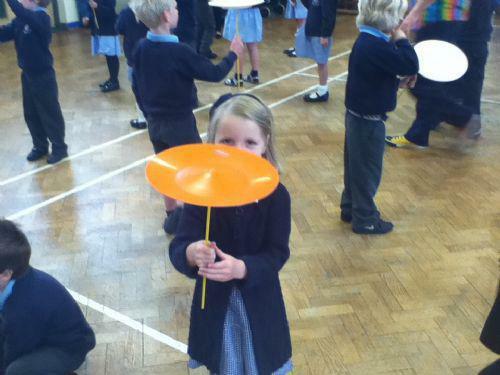 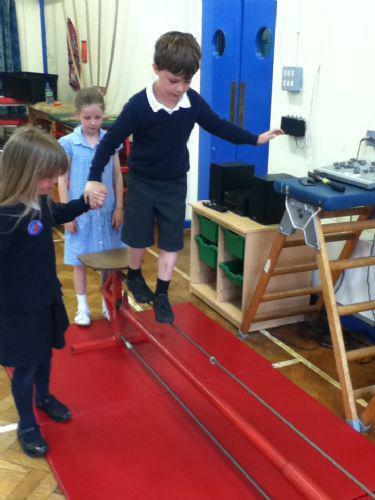 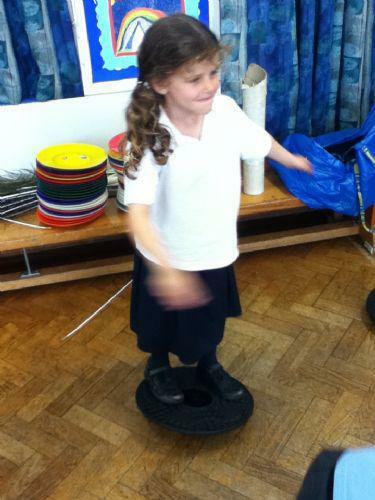 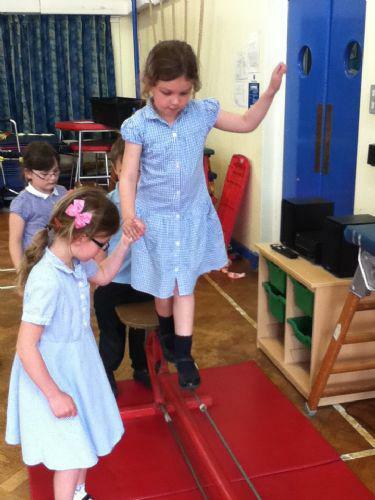 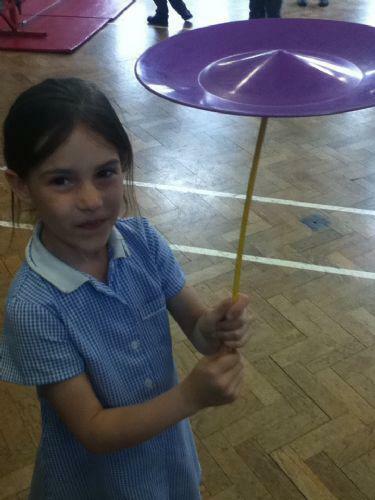 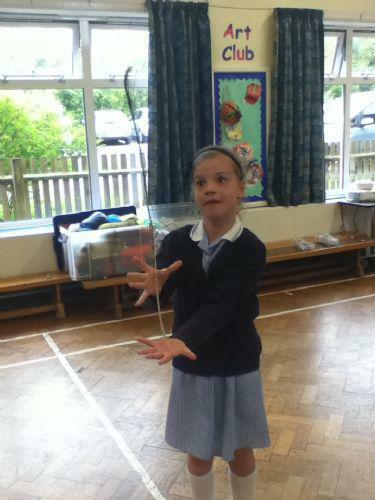 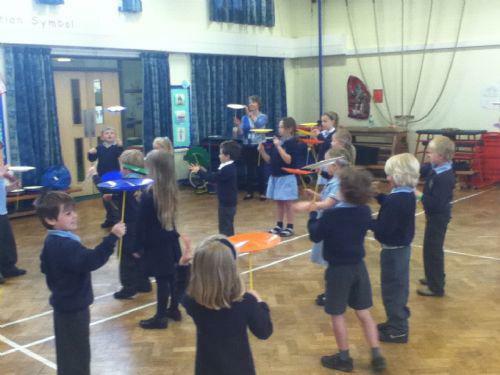 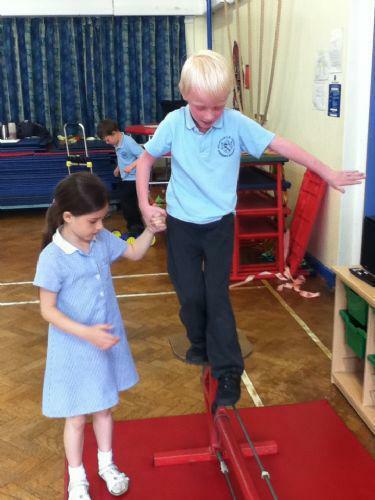 Once we had mastered the basics we learnt how to balance a spinning plate on one finger. 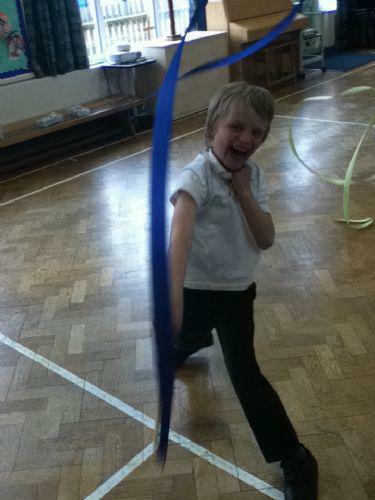 After that Doody gave us each a special Chinese ribbon. 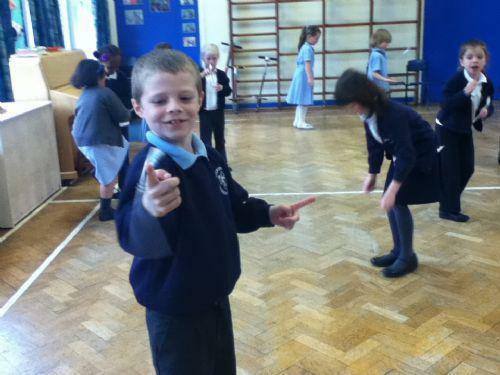 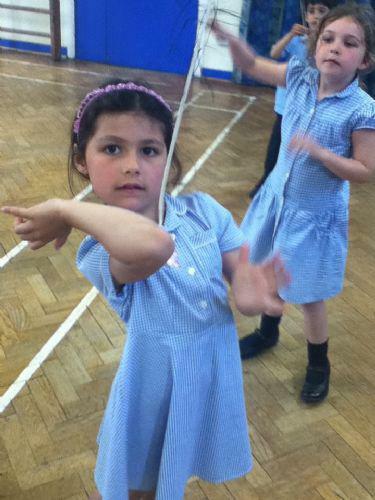 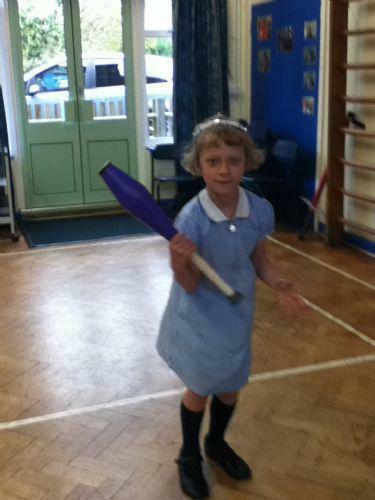 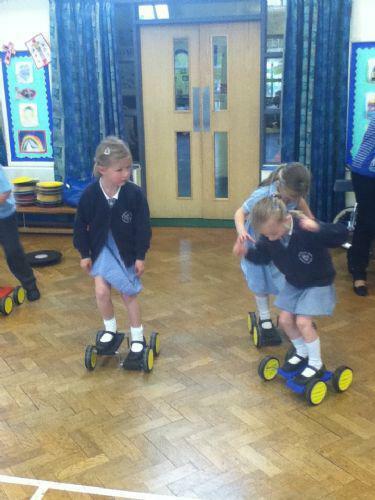 We learnt lots of different movements and patterns then created a routine to perform. 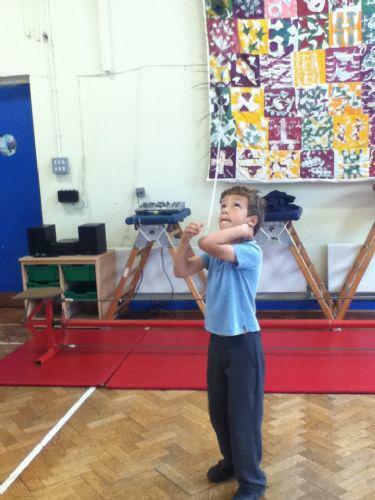 It worked best if your arm was really straight! 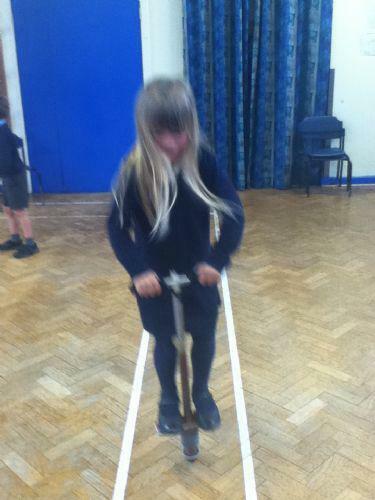 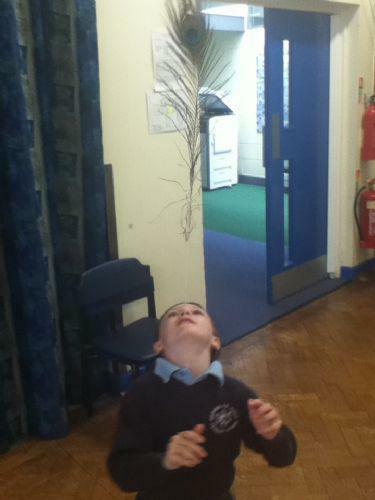 We then had time to perfect our skills in different areas.